Lewes Eco Open Houses will run its fifth annual event over two weekends in September 2014. 16 eco-friendly homes will open their doors to the public, five for the first time. The inspiring homes on show range from renovated Victorian cottages to 1960′s conversions and stunning architect designed new-build properties. Properties in the villages and countryside feature exciting off grid measures such as air, ground and water source heat pumps, as well as being examples of good eco building. All have drastically cut their electricity, gas and water bills as well as carbon emissions. The homes are free to visit and all are welcome. Visitors can see and hear how – with a bit of determination and imagination – it is possible to make cost effective alterations that will significantly reduce a home’s energy consumption. Further information, case studies and photos can be found at http://www.lewesecoopenhouses.org.uk and a brochure with full details will be available from late August in local shops, the library and tourist office. Lewes highlights include the popular Wille Cottages, a model of what can be done in a Victorian cottage, with super-insulation, magnetic strip secondary double glazing, creative use of LED lighting, and land-share vegetable growing. 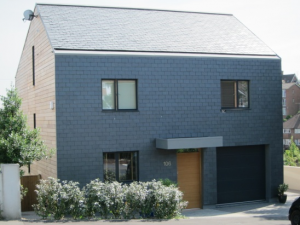 An architect designed new-build property in the Wallands area features solar roof tiles and maximises passive solar gain with a glazed southern facade. Village and countryside properties featured include Knowlands Farm Granary with a water source heat pump, large solar panel array, and sustainable woodland. Lewes homes will open on 13-14 September 2014, and Barcombe, Ditchling and rural homes will open on 20-21 September. Further information available in press and brochures closer to the time, and on website. Lewes Eco Open Houses. The event is organised by Transition Town Lewes Energy Group in collaboration with Barcombe Energy Group and Hassocks, Keymer, Ditchling Transition. 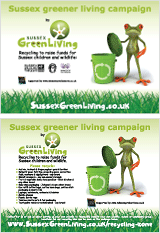 The 2014 event is funded by Green Open Homes and the Federation of Open Homes Networks and we also gratefully acknowledge the assistance of Lewes District Council. This entry was posted in Events, Green Suppliers. Bookmark the permalink.